When a midnight murder comes to Allport, Barb is observed conducting one of her "Correction Events" nearby. The police want to question the Grammar Nazi, and Retta insists the only way to save Barb's reputation is to solve the crime before her secret activities are revealed to the whole town. The victim was a newcomer to Allport who was engaged to marry a local businessman's attractive but spoiled daughter. Retta finds Frannie Habedank particularly irritating, since the younger woman commands the attention of just about any man who comes near her. Perhaps rightly and perhaps not, Retta is convinced Frannie killed her fianc . The Sleuth Sisters take up the case and learn that Frannie's father wasn't completely happy with his prospective son-in-law. Many back in his home town considered Steve Deline a "slug," and even the man's own brother hasn't got much good to say about him. It's difficult to eliminate any suspect, but took violent action and ended a man's life with a blunt metal object? 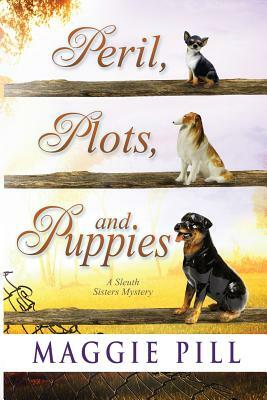 On a different case the sisters uncover a puppy mill, which results in the seizure of two dozen neglected and pitiful dogs. Faye's whole-hearted plunge into helping with their recovery means she's distracted from other events at the agency. As Faye re-homes dogs and Barb frets about being exposed as the Grammar Nazi, Retta wrestles with a question of her own. She has a life-changing decision to make by the end of the year, and it's already December. She'd like some advice, but when everyone she knows is involved, where can a woman get objective input?